Green Leaf: We Make Your Dreams come true! Green Leaf enjoys the trust and support of the communities in Ithaca, Cortland, Syracuse, Binghamton, and the surrounding areas, being their green company of choice for more than 12 years. Run by an experienced and knowledgeable manager, Green Leaf proves time, and again it is a professional landscaping provider meeting all clients’ requirements and exceeding all their hopes. Here at Green Leaf, we built a strong reputation for our integrated yearlong services, excellent customer relationships, above-standard work, and the safest equipment and materials’ use to protect both your property and the environment. Many homeowners dream of beautiful yards and gardens to enjoy together with family and friends. They also want fully functional landscapes and veritable “outdoor” homes to come back to with love. But not everybody has the knowledge, time, or skills to design, build, and maintain their properties. Contact us and request a meeting. Upon evaluating your property, we will discuss your vision and offer our suggestions and solutions. You may want to build a new landscape on a dull property, revamp and redesign your current scenery, or maintain your lush property from early spring to late fall. We can cover all your needs and make sure you benefit from the latest methodologies, materials, equipment, and procedures. 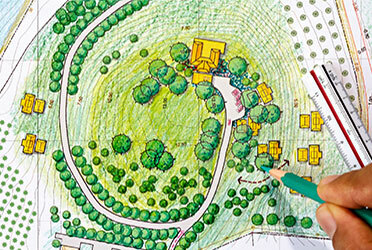 Design: We implement the latest design software and work with professional landscape architects; once you agree on the plan, we will make it take life before your eyes. 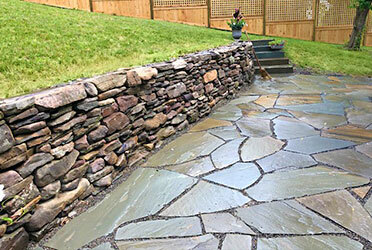 Build: We can build anything regarding hardscapes or functional outdoor structures. Maintain: By managing your landscape properly and applying proper services and techniques, we make sure your landscape thrives year after the next. Why Should You Work with Green Leaf? We respond to customers quickly and address customer needs quicker than our competitors, with our customers’ feedback. 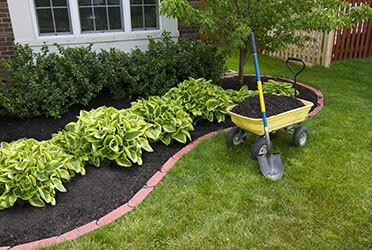 We are more than ready to offer you above-standard services in horticulture and landscaping. The Green Leaf owner has a degree from Syracuse University and 11 years working experience at Cornell botanical gardens; we have been operating in the area for more than 12 years, counting two decades of work experience among us. We get ongoing education and preparation to stay up-to-date on the latest industry standards; we all take continuing training in customer service and work ethics fields. We provide professional, respectful and courteous services throughout the entire collaborative process, continually communicating with the client. We are reliable, honest, and knowledgeable – and clients state this to us continually, choosing us time and again over the competition. You have to know that we provide free estimates and will arrange a meeting with you to offer suggestions, give advice, and address your additional needs. We are dedicated to our clients, taking calls, answering emails and texts all times of the day. We can always prove our competencies in integrated fields – landscape design and building, lawn and landscape maintenance, pest management, tree management, environmental-friendly applications, and more. We exceed the industry standards (as service provision and customer service), which provides us with repeat customers, feedback and referrals. We operate with full insurance, so you can be sure you, your property, our workers, and your family are safe. Do You Want Green Leaf to Become Your Right-hand Service Provider? Contact us now for a Free Estimate and extended talks about your vision. We will make sure it will come true, and you will have strong reasons to work with us for years to come!